For a better breakfast, brunch, and brinner. 1. Get all of that cereal dust crap out of your bowl by using a strainer. You'll have a way crunchier experience. Read more here. Get a strainer here for $4.80. 2. Go a step further and make sure your cereal never gets soggy with this divided bowl. Bonus: It can work for chips and dip, too. 3. Make hash browns in a waffle iron. You can use tater tots or shredded potatoes to make this deliciousness. Watch the tutorial video here. Get a waffle iron here for $17.86. 4. Freeze your smoothie ingredients in Ziploc bags the night before to cut down on cooking time in the morning. Here are eight recipes for healthy smoothies. 5. Use your Keurig to make a big ol' bowl of oatmeal. Get a Keurig machine here for $68.59. 6. Or take things a step further and make fancy oatmeal using a rice cooker. Get a rice cooker here for $18.96. 7. Freeze almond milk into ice cubes for a richer, less watery iced coffee experience. You can also add them to smoothies! See directions here. Get ice cube trays here for $6.98. 8. Or make straight-up coffee ice cubes to keep your brew strong. 9. Use a pancake pen to make the most Instagrammable 'cakes of your life. Get it here for $6.41. 10. Make a single-serving of French toast in two minutes in your microwave. 11. Freeze a week's worth of smoothies on Sunday night to give yourself a smooth, fresh start every morning without extra work. Get a set of 12 mason jars here for $11.99. 12. Make an omelette in a panini press. 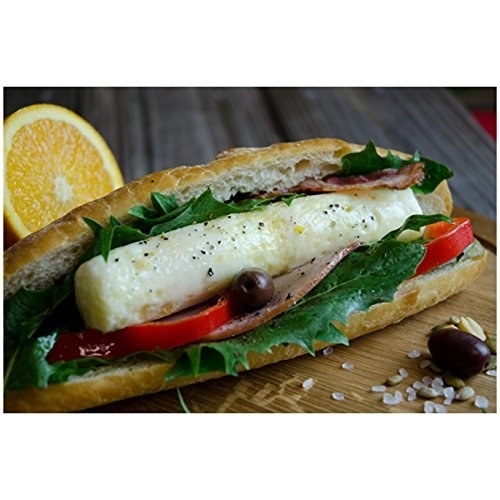 Get a panini press here for $16.49. 13. Whip up a batch of smoothie popsicles that will last you for the week. Here's a delicious (and beautiful) recipe that'll get you started. Get popsicle molds here for $5.99. 14. Get this sandwich-making machine to cook everything in under five minutes. 15. Use a muffin tin to make granola bowls for the week, then spoon some yogurt and berries in each morning for a healthy meal on the go. Get a muffin tin here for $5.18. 16. Get this butter cutter so you can have the perfectly buttered piece of toast when your stick is too cold to slice with a knife. Get it here for $8.79. 17. On Sunday night, make frozen breakfast quesadillas for the week and heat 'em up in the microwave every morning for a cheesy start. 18. This chart gives you 25 options for a quick and healthy four-ingredient breakfast so you'll never get bored. 19. 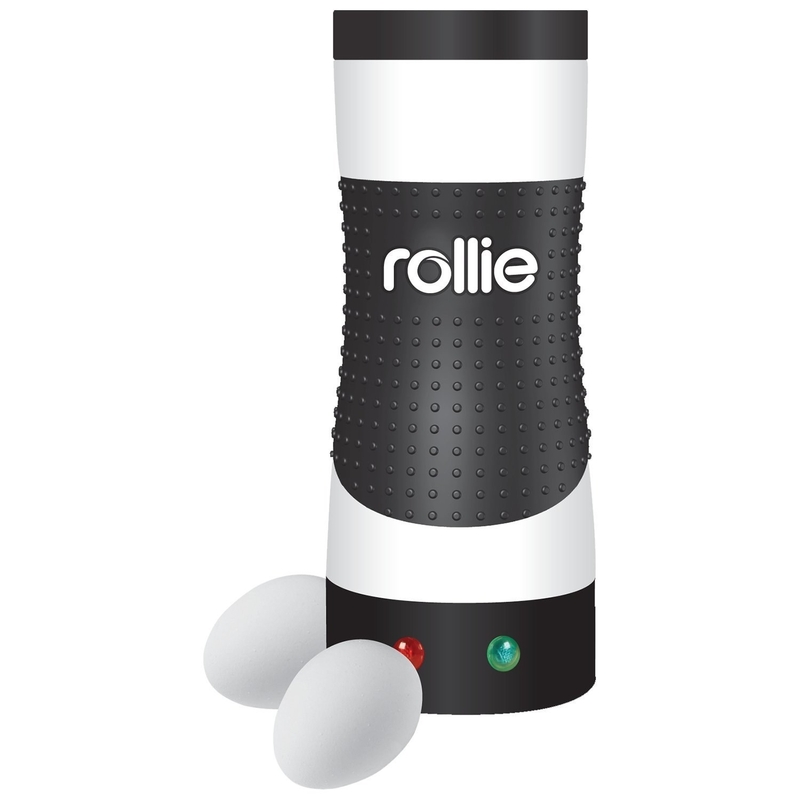 Use the Rollie for hands-free egg cooking, perfect for your favorite breakfast sammies. 20. Make yourself a freaking delicious brunch beverage on the weekends with this champagne cheat sheet. 21. Keep your coffee or tea hot until the last drop with a mug warmer. 22. Make your pancakes ridiculously fluffy with this seltzer trick. This trick also works with waffles. 23. And if you really don't like breakfast but want to start your day with a kick, try butter coffee to keep hunger satiated and energy higher for longer. Read all about butter coffee here.